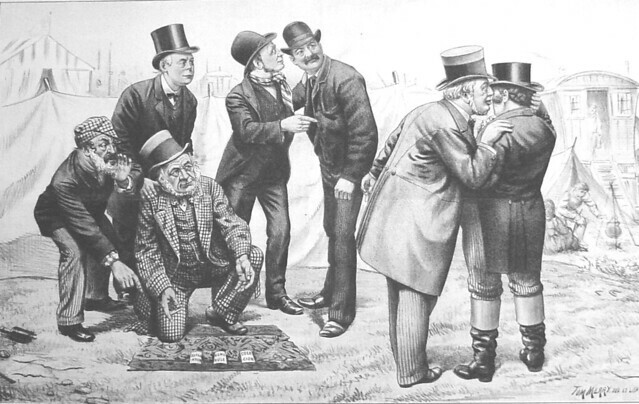 The con game and the theatre seem to have so much in common that it is tempting to mistake one for the other; in fact the long anti-theatrical prejudice against actors has much to do with the perception that actors and conmen both disguise their “true” characters and attempt to fool their audiences. Because both the actor and the conman present “lies like truth,” it is not that easy to distinguish between theatre and monte. Some might say the distinction lies in the convention that the theatre audience knows that they are seeing a performance. But if we want to continue to categorize as theatre such enterprises as Augosto Boal’s Invisible Theatre, where the audience never knows that they’ve been part of a theatre experience, then we must abandon that distinction. The con game is different from true theatre in that the con game always sells the promise of profit for the spectator, with no intention of fulfilling that promise. The theatre on the other hand, sells the spectator the promise of entertainment and/or enlightenment, which promise may or may not be fulfilled. Though the con game draws many techniques and structures from the theatre, the con game remains an essentially criminal enterprise. The performance of monte demands of the spectator not willing suspension of disbelief, but unwilling suspension of cash. 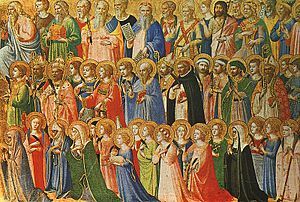 As we prepare for a different kind of trick (or treat), we might pause to remember that today is All Saints Eve, or All Hallows Eve… or, as we more commonly know it, Halloween. 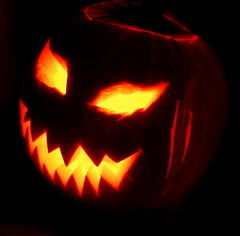 Many Halloween traditions originated from ancient pagan Celtic harvest festivals, particularly the Gaelic festival of Samhain, which was Christianized as Halloween in the eighth century, by Pope Gregory III. Special Halloween bonus: Jacques Collin de Plancy’s Dictionnaire infernal, a monumental compendium of all things diabolical, was first published in 1818 to much success; but it was the fabulously-illustrated final edition of 1863 that secured the book as a landmark in the study and representation of demons. Read “Defining the Demonic,” then page through the 1863 edition at The Internet Archive. For 87 years, nearly every day, a single train ran out of London and back. It left from a dedicated station near Waterloo built specifically for the line and its passengers. The 23-mile journey, which had no stops after leaving London, took 40 minutes. Along the way to their destination, riders glimpsed the lovely landscapes of Westminster, Richmond Park and Hampton Court — no mistake, as the route was chosen partly for its “comforting scenery”, as one of the railway’s masterminds noted. How much comfort a route gives passengers isn’t a usual consideration for a train line. But this was no normal train line. Many of the passengers on the train would be distraught. The others — those passengers’ loved ones — be dead. Their destination: the cemetery. 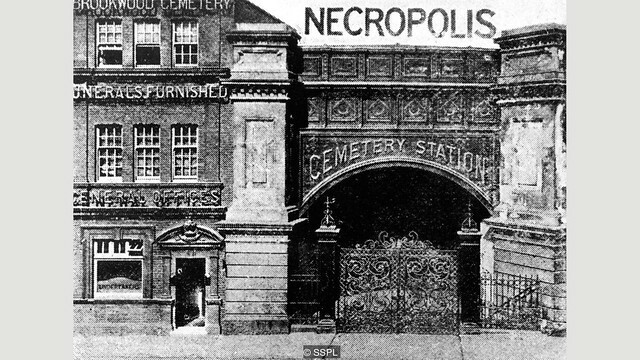 In operation from 1854 to 1941, the London Necropolis Railway was the spookiest, strangest train line in British history. It transported London’s dead south-west to Brookwood Cemetery, near Woking, in Surrey, a cemetery that was built in tandem with the railway. At its peak, from 1894 to 1903, the train carried more than 2,000 bodies a year. It also transported their families and friends. Guests could leave with their dearly departed at 11:40am, attend the burial, have a funeral party at one of the cemetery’s two train stations (complete with home-cooked ham sandwiches and fairy cakes), and then take the same train back, returning to London by 3:30pm.